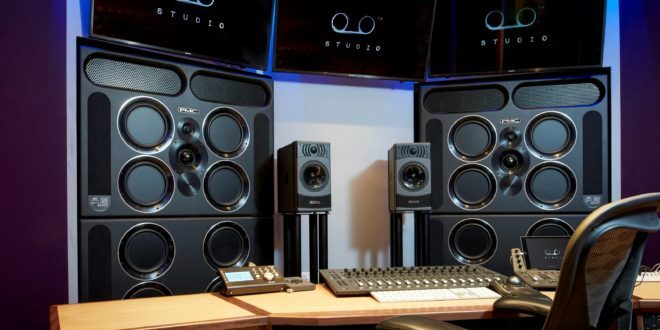 Private members club Tape London has installed the first pair of PMC QB1 XBD-A monitors in the UK in its Munro Acoustics re-designed recording studio. Tape London has also installed PMC BB6 monitors in its exclusive members lounge. The venue has hosted performances by some of the biggest artists in the world, including Lady Gaga, Drake, Rudimental, P Diddy, The Weeknd, Wiz Khalifa, John Legend and Travis Scott. To create the QB1-XBD-A, PMC has re-engineered its flagship QB1-A Active main studio monitor and added a further XBD cabinet per channel. This contains four identical piston drivers, each driven by four 1000w independent, class D, power amplifiers, which gives a total of a staggering 8825W of ultra-clean power per channel. The latest iteration of the company’s Advanced Transmission Line (ATL) bass-loading technology ensures a faithful low-frequency response down to 20Hz, while cutting-edge on-board DSP provides driver unit optimisation, EQ and sophisticated crossover networks. Alongside its impressive power ratio and damping per channel, the QB1-XBD-A offers ultra-low distortion, "a forensic sense of detail and incomparable dynamics and transience throughout the entire bandwidth". 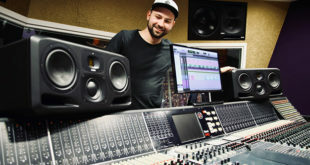 The recent re-design of Tape London’s studio included a relocation and expansion of the overdub booth and control room allowing even more space for songwriters, producers & artists. 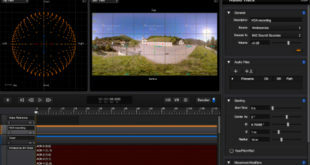 System upgrades include Pro Tools HDX and a Grace monitor controller, along with a selection of other professional hardware and software. As well as offering world-class studio facilities, Tape functions as a stand-alone 400 capacity venue, which is equipped with a purpose built live stage, media walls, audio and video recording and the latest in high quality sound and lighting. 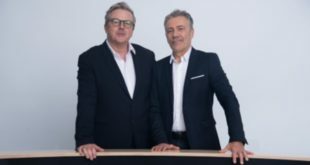 Heff Moraes, Tape’s studio director, said: "Tape’s clientele consists of the leading professionals in the music industry, therefore we didn’t have to think long about where we could source the very best speakers on the market for our new Members Club as well as our state of the art recording studio. 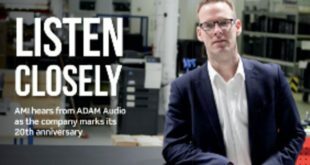 "As a leading loudspeaker maker in both the professional studio and HiFi consumer markets, PMC understood what we wanted to achieve and were able to create a bespoke playback system that delivers the ultimate in sound quality, whether it’s for an intimate live music performance, a sold-out club night or mixing audio in a world class environment. The results have been exceptional with sound quality unlike anything in the country.